Contact Bell Insurance on their customer service phone number 0333 220 2008 for technical support with your car’s black box tracker, for accident claims and for quotes advice. Contact Bell on their car insurance phone number 0333 220 2008 for customer service advice about your vehicle policy and to upgrade your cover. For example by calling this helpline you can add another named driver, windscreen insurance and change from a third-party-only policy to fully-comprehensive cover. You should also call this helpline if you have changed vehicle as your cover may be transferable, although your premiums may change as a result particularly if the engine has a larger capacity than your previous vehicle. Similarly if you have moved home you should call this helpline to update your details so you can continue to receive important correspondence about your policy. 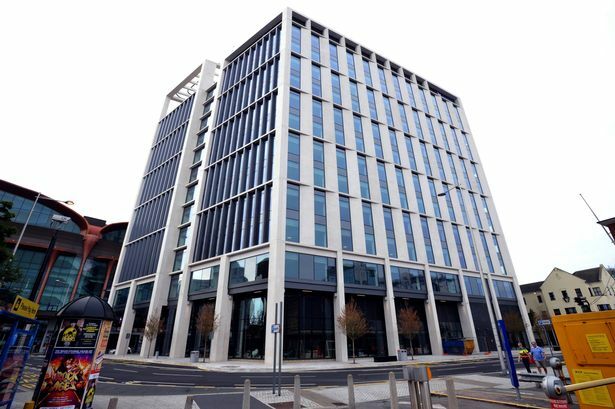 Calls to Bell car insurance customer services are charged at standard UK rates which also apply to numbers starting with 01 and 02. Therefore you will pay a fixed access charge as well as a variable per-minute rate to connect the call. However you could avoid this charge if you have inclusive minutes on your landline or mobile tariff as these can be used to call national helplines such as 0333 220 2008 for free. Lines are open 8am-8pm Monday-Friday, 9am-5pm Saturday and 9:30am-4pm Sunday however these are subject to change on UK bank holidays. Contact Bell from outside the UK by calling their international phone number +44 2920 601 295 to get a quote for vehicle insurance from outside the country and to notify them that your car has broken down whilst abroad. They will then contact an affiliated breakdown provider on your behalf who will repair the fault. Please note that international telephone calls are usually significantly more expensive than local UK calls unless you have a roaming package on your tariff which applies to the country you are in. Phone the Bell safe driver scheme on their dedicated contact number 0333 220 2011 to apply for a black box tracker to lower your car insurance premiums, which is particularly helpful for young drivers who have recently qualified. You should also dial this number if you are experiencing technical difficulties with your tracking device as it is recording inaccurate information, they will then send an engineer out as quickly as possible to either repair the fault or give you a replacement black box. If you are not satisfied with the amount of money saved by using a black box tracker you can call this helpline to revert back to a standard car insurance policy, however be aware your premiums will increase accordingly. New customers can contact Bell insurance on their quotes helpline number 0333 220 2088 to get a policy price over the phone or to retrieve a previous quote they received online. Furthermore you can phone this helpline to inform them that you are eligible for a no claims discount due to your current safe driving record, however please note you will have to submit documents as proof when prompted. Contact Bell Insurance immediately on their UK phone number 0333 220 2041 to make a claim following a motor accident, vehicle fire or car theft. Their customer care advisors will then inform you of how much compensation you are eligible for as well as what evidence you need to submit. This may include photographs of damage to your car, CCTV footage and documentation from your doctor. You may also phone this number if you have been hit by a driver who is insured by Bell as they may cover your claim without you having to notify your own provider. 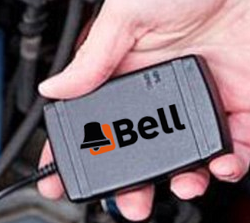 Contact Bell on their emergency freephone number 0800 458 9282 for free to get roadside assistance following a breakdown. Their affiliated mechanics will then either repair your car or if the fault cannot be immediately mended they will transport you and your vehicle to your destination. Please note if you do not already have breakdown cover on your Bell policy you should call their hotline number 0333 220 2011 to get free roadside assistance. Contact Bell Insurance on their motorbike customer care phone number 0330 022 7891 to get a quote for their bike policies, to insure your helmet and to make a claim following an accident on your motorbike. Furthermore you should call this helpline to upgrade your bike cover by adding breakdown protection and replacement leathers. Additionally they may offer discounted prices for modified and vintage motorcycles, however you should always submit accurate information about your vehicle otherwise your policy may be declared void. Bell also offers van insurance policies, therefore consider contacting them via their commercial vehicle phone number 0333 234 0036 for general enquiries about your policy, to renew your current cover and to update your account. If your van has been involved in an accident you can call this helpline to make a claim on your policy and to get legal advice particularly if the incident affects your public liability cover. You can contact the travel insurance team at Bell by phoning their UK helpline number 0343 658 0290 to get cover for an upcoming holiday, to renew your policy from a previous trip or to cancel your cover if you can no longer travel on the contracted dates. You should also call Bell to inform them of any pre-existing medical conditions which will affect your health as you travel, failure to do so may mean you won’t be able to make a claim in the event of an emergency. Phone Bell for free on their careers contact number 0800 118 1619 to apply for a job at the broker, to check whether you have been accepted for an interview and for assistance submitting your CV. There are a range of roles to choose from including customer services, managerial positions and administrative work thus you may call them to check if they have any open positions. Bell Insurance offer customers alternative ways to contact them about their car insurance policies, including postal addresses and email forms for those wishing to reach the broker in writing. Online customers can contact Bell Insurance by filling out a secure email form from their website. This will not be as swift as calling their customer service phone numbers however they will aim to get a response to you within 48 hours.